This Guide is about foresight, and also about how it it integrates with action, in the Eight Skills. But when we seek to cultivate personal foresight, there are three precursor skills we each must possess, to some degree, to use foresight and action well in our daily lives. Using all five of these skills well (the three precursor skills, foresight, and action) is the essence of self-leadership. Good self-leadership, of course, is the gateway to leading others well. An author who explains this well is James Scouller. 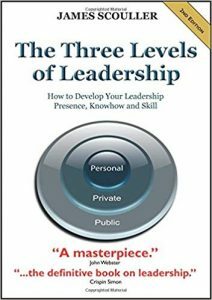 His book, the Three Levels of Leadership, 2nd Ed. (2016) is a great intro to leadership. There is a developmental sequence to leadership that must be understood. It begins with what Scouller calls personal (self) leadership, then we must be good private leaders (often confidentially, with our direct reports, teams and organizations) and finally, good public leaders. In self-leadership, I prefer to think of the five skills we will shortly describe as fights, battles, or challenges, that we all engage in moment by moment, throughout our lives. Each of these fights is a precondition, to some degree, for the ones that come after it, so we can also call them a Ladder of Self-Leadership. Sometimes we are winning these fights, sometimes losing, but we are always in the fight, whether we recognize it or not. Our minds, friends, culture, and environment will often work against us in these fights, often without intention. But we can be winning, gaining ground, with each of them, moment by moment, if we choose to pay attention to them, and to care. These are are truly the “right fights” to be engaged in, throughout our lives. 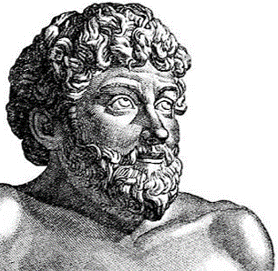 The five fights form an acronym, ASOPE, that we can remember (roughly at least) by thinking of Aesop (620-560 BCE) the famous Greek moralist. He is the author of Aesop’s fables, morality stories for children. We can think of our daily ASOPE fights as a moral imperative, because our success with them, our ability to climb this ladder, should determine how we feel about the quality of our self-leadership, every day. Let me ask you: How do you define your personal best, day by day? How do you define it for each individual on your team? How do you know what to spend your time on, and what to pay attention to, moment by moment? Our time and attention are the most precious currencies we own. If we spend them well, our lives will go far. Spend them poorly, and our opportunities are lost. These five fights are my best current answer to this question, how do I define my best efforts, as an individual, regardless of the team or project I am working on, every day. Let’s look at them now. Awareness. Awareness is the first step to everything else we do. Without awareness, we can’t even see the ladder we must climb. There are many tools and strategies that will help you become more aware every day. Let me just recommend two books to start. The first is Subliminal, by Leonard Mlodinow. This helpful book will convince you, as it says in its subtitle, that your unconscious mind is almost always the dominant force controlling your behavior. But when you become aware, even if it is just for a few seconds, in any context, you have the ability to change that, to make a conscious, deliberate decision. That conscious thinking, feeling, and behavior will slowly start to change your unconscious mind as well. If step one is recognizing the power of your unconscious, step two of this fight is cultivating awareness, both in short bursts (focus, meditation) and continually, throughout our day. A great starter book for that fight is Awareness (1990), by bestselling author and Eastern and Western spirituality teacher Anthony De Mello. It will introduce you to the challenge of waking up to see ourselves, moment by moment, as who we really are, not who our unconscious mind, others, or society thinks we are, but who we actually are, as defined by our current thinking, feeling, and behavior. Self-Control. Being aware allows you to ask yourself if you are in control, or are acting based on your impulses. The stronger your fight for self-control, and for tying your gratification both to outcomes of value and to evidence-based behavior, the more effective your life will be. Psychologist Walter Mischel’s The Marshmallow Test (2015) explores the implications of the Stanford marshmallow experiment, which he designed. In that famous experiment, young children who were able to wait just 15 minutes for more rewards (an extra marshmallow, in this case) had far better life outcomes in their subsequent decades, as measured by SAT scores (nearly 200 points higher, on average, than the most impulsive group of children), educational attainment, salary level, body mass index, and several other life outcomes. Fortunately, there is a lot of evidence that such foresighted delay of gratification (strategic foresight and impulse control) is a trainable skill. Angela Duckworth’s Grit: The Power of Passion and Perseverance (2016) drills further into self-control, focusing on emotional engagement (passion) and willingness to overcome adversity (perseverence), as two key measures of self control that greatly improve life performance. You want to hire people with grit, or what the Finnish call sisu, as that characteristic alone will often be more important than talent in job performance. Charles Duhigg’s excellent The Power of Habit (2012) will help you adopt habits that support your emotional and rational self-control. Our habits become automatic surprisingly quickly, but we each can choose which habits to consciously start, which to keep, and which to break, using awareness and foresight. Our daily habits can either aid or reduce our self-control, as we choose. Ownership. Our next major fight involves deciding to own all the things we have the ability to control. This begins with our emotions, thoughts, and attitude, but it extends to all the behaviors over which we have a high “locus of control.” We can’t always own outcomes, some of which our beyond our control, but we can surely own many of the most important inputs to our outcomes, and focus on making those the best we can. My favorite book on ownership at present, by a large margin, is Tony Robbin’s self-improvement classic, Awaken the Giant Within (1992). I’ve written about this special and very comprehensive book (512 pages of tools and tips) elsewhere in the Guide as well. It came out just before the web, but there is very little I would change about today, as its advice and practices are truly timeless. For more on ownership, read Nathaniel Branden’s classic, Taking Responsibility: Self Reliance and the Accountable Life (1997). David Bahnsen’s brief but excellent Crisis of Responsibility (2018) is a shrewd indictment of modern affluent Western culture, a culture that often encourages us to blame others for our issues, rather than own them and work on ourselves first. Criticizing and blaming others should usually be our last resort. Willink and Babin’s Extreme Ownership (2017), is also a great account of Navy Seal philosophy. The Seals, and our Special Forces in general, offer good examples of a strong self-responsible culture with the US military. Prioritization (Foresight). We’ve already described this fight as the Four Foresight Skills. We must Learn the relevant Past and Present, Anticipate (Forecast, Predict) the relevant probable future, Innovate (Imagine, Experiment) possible futures, and Strategize (Analyze, Plan) the preferable future. Our priorities are the tasks (next actions) that our strategy tells us to do. It is good to revisit our priorities (strategy) every time we learn, anticipate, imagine, or deduce (analyze) significant new information in our environment. I find it helpful to make a prioritized task list every morning, and when I am conscious and self-controlled, I will reprioritize that list several times a day, as conditions change. Knowing when to stop writing and reordering our daily task list (prioritizing), and get back into action is an art, and we get better at that the more we prioritize, act, and get feedback over our lives. Execution (Action). We’ve already described this fight as the Four Action Skills. We must Execute well and often, in incremental, completable steps, Influence others who can help or hinder us, Relate to all of the stakeholders in a positive, sustaining way, and act to Review (measure, collect feedback on) our actions, to know if we are on target, or need to readjust. These action skills often require a different mindset from our foresight skills, but they are just as important. Taken together, we can call the last two skill groups (Foresight Skills and Action Skills), as being concerned with taking “right action”. We can consider the first three skills, ASO, as necessary precursors to taking right action. Again, think about these fights in sequential order, as a ladder we must climb, moment by moment. If we are not aware, we can’t have self-control. If we don’t have both awareness, and self-control, we can’t own (take responsibility for) our current state of existence, and try to engage in right action. 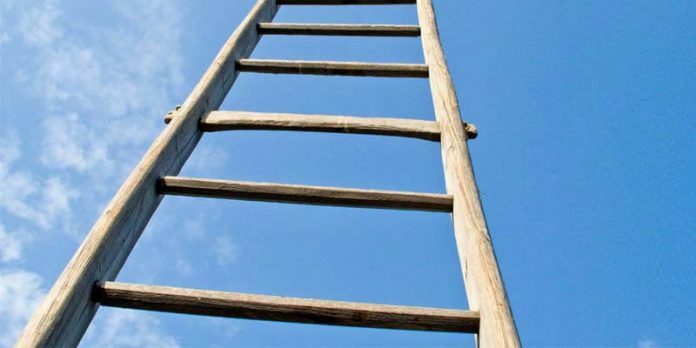 Sometimes we are on a lower rung of this ladder, sometimes higher, and we all move up and down the ladder all day long. Perhaps the most important thing to remember from this section is that if we aren’t presently engaging in all three (ASO) of the precursor fights simultaneously, we will have no motivation (desire, intention) to prioritize (generate foresight about) our next actions, and to act well on our foresight. Our degree of ASO, then, controls our foresight and action capacity, day by day. Our ASO is a precursor to everything else we do. Fight these fights well, my friend. We get better at all of them with time and attention, and in that way become the best self we can be, given where we are today. So don’t worry about the things you can’t control, or your status relative to others. Just try to do your best, with what you have, and you will sleep well. These fights are a foundation for happiness, in my view.